Raymond P. Hait, a life-long Charlotte resident, is a combat-disabled veteran. As an Army Sergeant E5, he served as a combat platoon leader in t”he Vietnam War. He was awarded a Purple Heart after suffering a serious injury to his right hand. Mr. Hait and his wife, Natalie Hait, rely on their 2007 Saturn Ion to run daily errands, visit friends and family, and to get to medical appointments at the Veterans Affairs Medical Center in Salisbury, NC, nearly 50 miles from their home. The failing condition of their car and their financial situation have made it difficult for Mr. Hait to obtain medical care. Mr. Hait picked up his newly repaired car yesterday from the AAMCO of Charlotte service center, at 6810 Lake Leslie Lane, where the services were provided free of charge. After Mr. Hait dropped his car off in late March, AAMCO technicians conducted a thorough diagnostic inspection to determine all repairs needed. Ultimately, they performed a transmission line repair, fluid and filter service, and repaired the suspension and brake pads. Discount Tire donated and installed four new tires on Mr. Hait’s car. 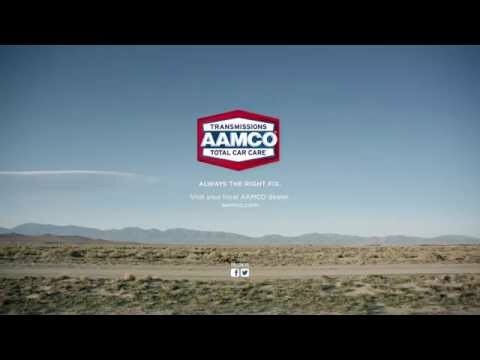 AAMCO performed additional services, including a tuneup, to ensure his vehicle will continue to serve him for years to come.